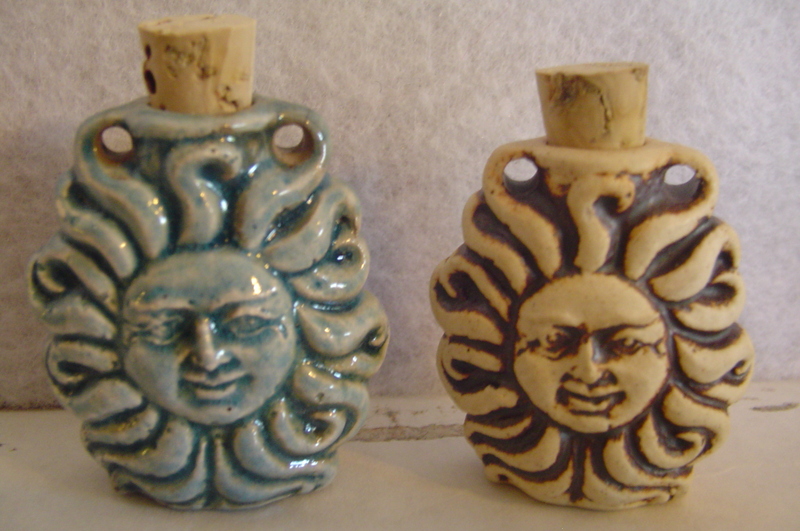 These small ceramic bottles are amazing in their detail. They come complete with cork, an adjustable hemp cord for wearing as a pendant and a cute colorful gift bag. These tiny treasure can hold essential oils (Raku glaze recommended), love potions, cremation ashes for a special keepsake or anything you heart desires. This bottle stands 1 1/2 inches tall with cord and a bit over 1 inch wide. Your choice of high fire which is the natural brown/tan one or Raku which is glazing technique. With the Raku no two are ever alike. FREE SHIPPING ON ALL WEBSITE ITEMS!